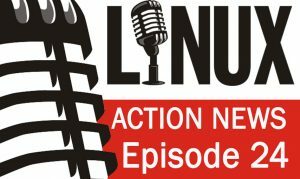 The Linux desktop on Samsung phones, Intel ME disabled on Purism laptops, big Kernel news & Ubuntu 17.10 is out. Plus our brief thoughts on the new Ubuntu release, its various flavors, an important milestone & the larger Open Source story. Purism Now Shipping Their Laptops With Intel ME Disabled — Purism has announced today all laptops to be shipping from their company will now have the Intel Management Engine (ME) disabled. Purism partner with Nextcloud on end-to-end encrypted storage — Purism plans to include Nextcloud in the Librem 5 phone, as well as within PureOS for its Librem 13 and Librem 15 laptops. Additionally, Purism will be discussing with Nextcloud about a future Purism NAS that runs completely free software including Nextcloud and services. LVFS/fwupd need donations — At the moment the secure part of the LVFS is hosted in a dedicated Scaleway instance, so any additional donations would be spent on paying this small bill and perhaps more importantly buying some (2nd hand?) hardware to include as part of our release-time QA checks. Linux Kernel Community Enforcement Statement — It adopts the same termination provisions we are all familiar with from GPL-3.0 as an Additional Permission giving companies confidence that they will have time to come into compliance if a failure is identified. Their ability to rely on this Additional Permission will hopefully re-establish user confidence and help direct enforcement activity back to the original purpose we have all sought over the years — actual compliance. our default desktop to GNOME3 and gnome-shell. Ubuntu MATE — After six months of tireless work we present Ubuntu MATE 17.10, by far the best release we’ve ever produced. Xubuntu — Accelerated video playback with Intel hardware should now work more reliably out of the box.